With major cryptocurrencies trading in the red, 2018 is being touted as the worst year for the crypto market. The entire crypto market capitalization tumbled from $800 billion in January 2018 to around $121 billion in December. However, crypto experts remain hopeful for a recovery in the crypto market in the forthcoming year. “The severity of the crypto crash, or as many are calling it, the Crypto Ice Age, makes it more likely the bottom is near. Strategic investors who see the long run potential of the tech and a select group of projects in the industry will be salivating at these prices and accumulating on the dips. Ryan Taylor, CEO of Dash Core Group, pointed out that while enormous weight is placed on market price movements to assert the success or failure of the cryptocurrency movement, it is often overlooked that use continues to grow and innovation remains robust by nearly any measure. “Bitcoin’s transaction count is now the highest it’s been since January. Dash – the project I support – has seen transaction counts double over the past year even as prices have declined. Silently, speculation is ceding to real-world use,” he explained. “If cryptocurrency truly were a "flash in the pan" ponzi scheme, as many detractors would have you believe, transactions would not have continued growing when encountering the headwinds of a falling market,” Taylor added. 2019 – A Year for Utility Tokens or Tokenized Securities? Raphael Delfin, Head of Research at Brave New Coin, stressed that regardless of the upcoming advent of tokenised securities, he sees a “promising future” for utility tokens. “Utility tokens will play an important role in capital raising for censorship-resistant, and distributed applications, with prediction markets and distributed computing being some of the applications already underway,” Delfin said. Viglione also sees the potential of utility tokens, but said that such tokens will come from protocols with broad possibilities and large infrastructure, not so much on the niche utility-for-a-single-service side. “The next bull run will likely be built on securities token offerings (STOs) in which regulated businesses tokenize large swaths of known asset classes, or even equity in small to medium size ventures that enter the crowdfunding space,” he added. Xinshu Dong, CEO of Zilliqa, said that tokens that bring real value-add for users will lead the charge in 2019. “For example, I think tokens that award users for content generation and community participation, tokens that enable decentralized payments, and tokens that drive low-cost smart contracts have huge potential,” Dong said. Industry experts are unanimous on the widespread adoption of blockchain technology. While they believe that a number of “questionable” projects will cease, the experts see many new projects and use cases to emerge in the forthcoming year. “I believe that 2019 will see a continuation of adoption, innovation, and exploration of new use cases. There will be a massive number of failures and a handful of incredible successes along the way. Many painful lessons, and many new models for success will emerge from these results. Digital assets are clearly not for the faint of heart, but they aren’t going away as long as people value financial freedom, privacy, and independence. Needless to say, I don’t think cryptocurrencies are going away anytime soon,” Taylor said. Dong said that 2019 will witness a wave of widespread use cases as organisations looking to implement and develop blockchain applications become more focused. “So it is very likely that we will see some compelling use cases emerge. As entrepreneurs and enterprises introduce and implement blockchain technology, a major stumbling block the industry faces is the balance between scalability and security. 2019 may indeed be the year we address the existing challenges, see traction for the technology beyond the testnet phase, and welcome many far-reaching dApps,” he added. Max Kordek, Co-Founder and CEO of Lisk, believes that institutional attitudes towards blockchain technology will continue to shift in 2019 as rapidly as the technology itself. 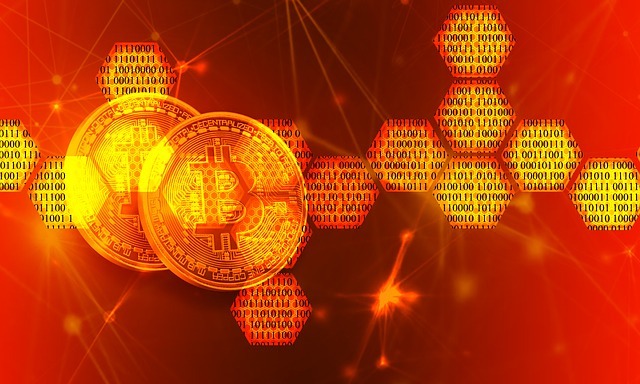 “Mainstream business, traditional finance, and even government institutions will continue to both accept blockchain into their everyday practices, as well as shape its progression through usage and regulation. Developers and the innovative projects they work on will continue to advance blockchain’s capabilities, by creating boundary-pushing proofs-of-concept and new use cases. These, on the other hand, will continue to close the gap between the technology and its centralized competitors.